carly tee: for the love of red velvet! there are lots of things about me that just don't make sense like how i wouldn't dream of frying food at home because it's so unhealthy but i LOVE (and still eat) mcdonald's fries and hamburgers. now we don't have time to tackle all (or any really) of the thousands of other things about me that don't make sense, and i really only brought it up so we could chat about red velvet. i love red velvet anything which is so weird because i never add food coloring to anything. coloring usually seems unnecessary and sometimes even a little unhealthy but red velvet is of course the huge exception. 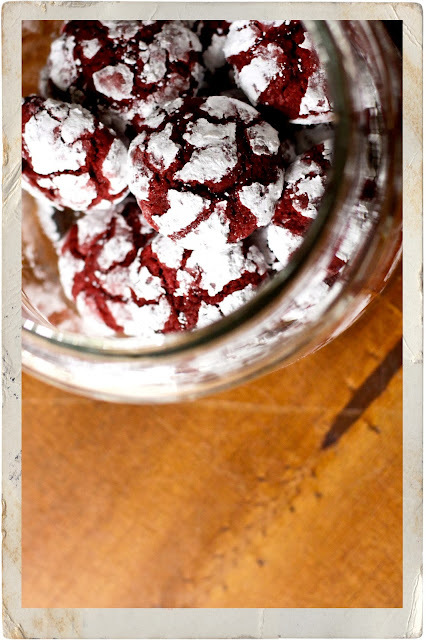 and with valentine's day just a little more than 2 weeks away, i had to try this recipe for red velvet crinkles from cooking classy. they are beautiful cookies and would make great valentine's treats for your sweeties. be careful not to over bake, and i would definitely recommend substituting the extra cocoa powder for the flour as she suggests at the bottom of the recipe for a little more flavor. and if you're not a huge fan of white chocolate chips, try chocolate ones. these cookies do need the extra bit of flavor but they are really fun. and looking for even more red velvet? 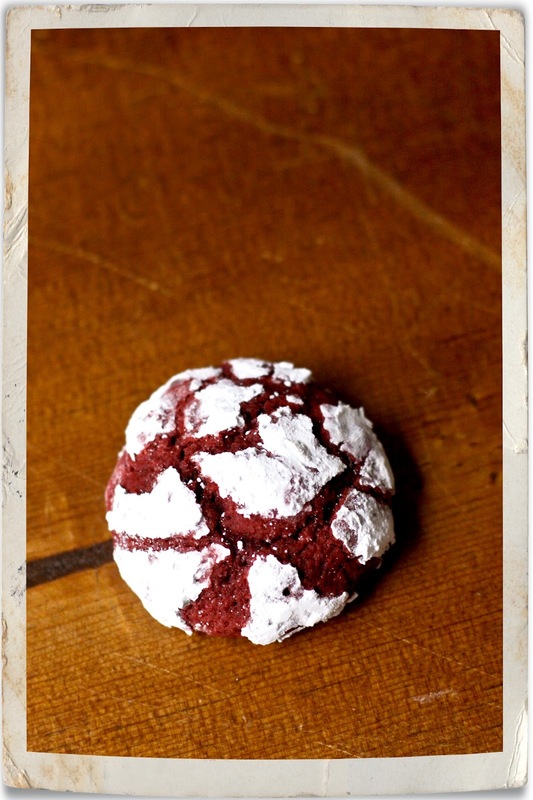 try this recipe for red velvet chocolate chip cookies from baking serendipity. these are great cookies as well and have become a favorite at my house! Um, I can personally vouch for these. Ah-mazing.